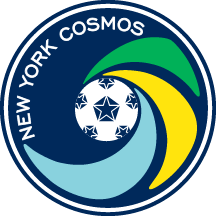 Giovanni Savarese did not hide his "envy" of Cosmos B head coach Carlos Mendes. "I'm a little bit jealous of Carlos because I was able to take the team to four finals and three titles, but I never got coach of the year," he said. "In his first year he already has beat me for coach of the year." Of course, the former Cosmos head coach and current Portland Timbers boss was only kidding. He was quite proud of the fact that Mendes, who captained the Cosmos for Savarese's entire five-year tenure with the North American Soccer League team and his success in his first year as a head coach. "I was glad that Carlos made the transition to coach," said Savarese, who said he tried to follow Cosmos B streaming online when he wasn't directing the fortunes of his Major League Soccer club. "Luis [Gutiterrez, assistant coach] helped him out and [Danny] Szetela was able to be the captain." 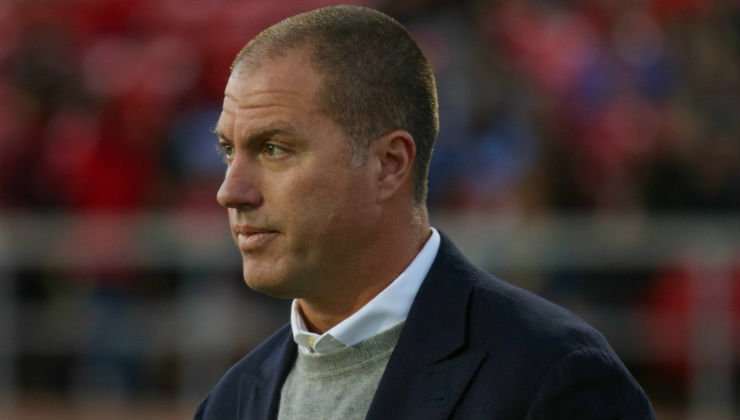 It remains to be seen whether Savarese will be named MLS Coach of the Year. Knowing his work ethic, the former Venezuelan international striker would trade that award or two for an MLS Cup crown. That will be played out over the next eight weeks as the Timbers vie for one of six playoff spots in the Western Conference. After last weekend's competition, Savarese had Portland positioned in seventh place with a 10-7-7 mark and 37 points, one point behind the Seattle Sounders FC and LA Galaxy. Savarese's side has 10 games remaining in its season to right the ship. Asked how the season has gone for him, Savarese hesitated because there is so much to play for. "It's tough to evaluate something at midseason," he said. "I can give you a way to say it's been successful because we have done some very, very good things. But I can tell you also, for example, the past few games haven't been positive." The Timbers had lost four games in a row before defeating Toronto FC, 2-0, on Wednesday night at Providence Park. "So right now we're in a moment trying to figure things out to make sure we get back into winning ways," Savarese said. "I would like to analyze it more at the end of the season when I am able to see the entire season backwards and see how everything went. I think I can go also forward, a positive season because we are in good standing in the table. We were before [last week] second. We went a little bit down, but we have played less games than other teams. We're fighting to make the playoffs. I think we have done some very good things a well." One of those things has been the play of former Cosmos midfielder Andrés Flores, who followed Savarese to Portland and signed with the club last winter. Flores, an El Salvadoran who recently obtained his U.S. citizenship, played three seasons with the Cosmos and was a part of the 2015 and 2016 teams that won the NASL title. The 5-6, 150-lb. midfielder has recorded two assists over 891 minutes that has spanned eight starts and 21 matches. Even with the limited playing time, Savarese said the 27-year-old Flores has progressed this season. “I think he’s grown,” he said. “I think I have seen a better Flores than I have ever seen before. Not that he didn’t have amazing matches with the Cosmos, but I felt that was something he needed to do to make the jump to this level. And I think he has answered all of the concerns and questions anybody could have had about him making the transition to MLS. During his time with the Cosmos, Savarese stressed how vital it was to have a happy and open locker room. Not surprisingly, that has followed suit in the Pacific Northwest. It sounds like a cliche, but several times after players scored goals for the Cosmos, many ran over to Savarese on the bench. "When you come to the team you need to earn as a coach the respect from the players," he said. "They need to trust you. It takes a transition, it takes a little time. It takes that you put the best effort to make sure that they know you, what you are capable of, so they can trust you. We have done a lot of work, between the players, the club, the staff, to always create a better locker room and that never stops. That work is something that becomes better over time and can change overnight. It's something that you can never underestimate. "It's not a matter of MLS or the NASL. Each locker room is completely something different. As long as you have the right people, the right mentality, the right rules, and you stick with your ethics, it's a better chance that the people follow the right direction. Some will end up not fitting in and deciding on their own to go somewhere else." While Savarese has become much more comfortable in Portland, he does miss the Big Apple. "New York is always in my system," he said. "I've had too many years in New York. I have a very special place in my heart about New York, but I have to tell you that I have found an unbelievable city, a beautiful place. Portland has been fantastic. Besides the soccer, it's a beautiful city, good people. It comes at a good time for our family to be here and I couldn't be more proud now to represent this club. Even though I said New York is going to be part of my system, I'm glad to get this experience here. Occasionally when I have the chance to go back to New York, I'll see my friends, I get back into my old things, and then I am back again to enjoy Portland."